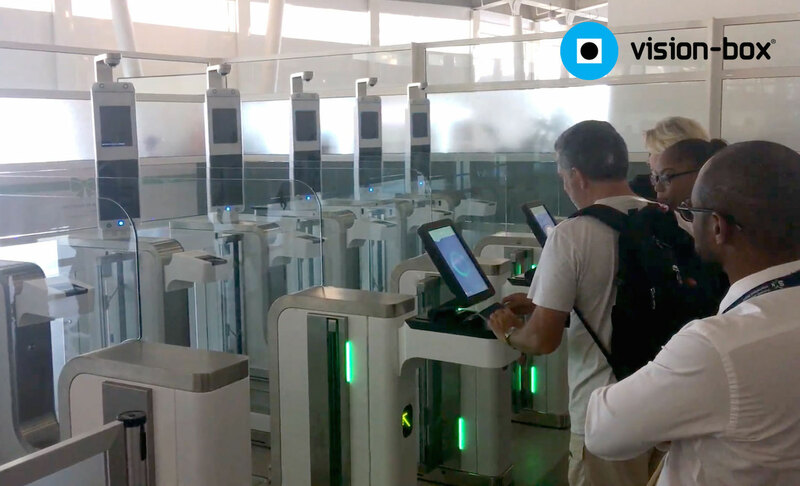 The joint initiative to transform Princess Juliana International Airport into a seamless end-to-end self-service passenger journey has progressed to phase two with the launch of Vision-Box™ biometric Automated Border Control eGates. On one of the premier vacation paradise jewels of the Caribbean, Sint Maarten, the joint initiative of Princess Juliana International Airport N.V., Immigration and Border Protection Services, the Police Force of Sint Maarten (KPSM), and Vision-Box™ has been heavily engaging in transforming the airport into a world-class Passenger Experience. This commitment to reinvent and modernize Princess Juliana International Airport continues with phase two of the project with the upgrading of the airport’s passenger immigration infrastructure, now employing Vision-Box™ self-service biometric Automated Border Control eGates intended to modernize the process, improve the security of the identification procedure, and expedite passenger flow at one more stage of the passenger journey across the airport. 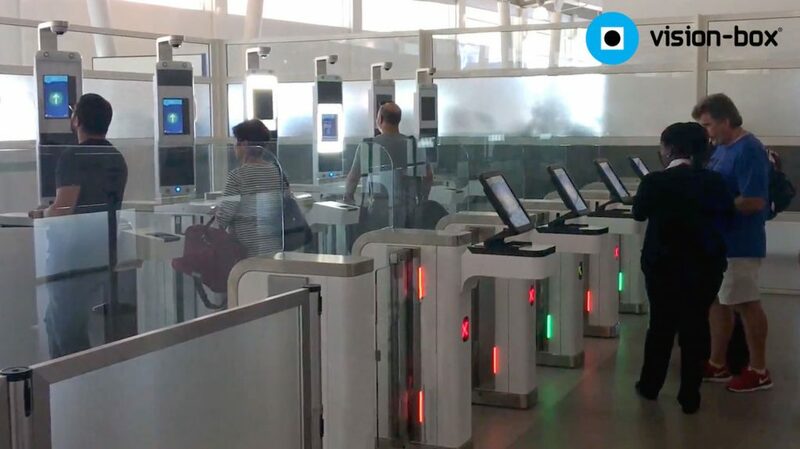 vb i-matchTM ABC eGates have now integrated the recently announced seamless passenger journey designed by Vision-Box™, joining the already existing vb i-match™ security checkpoint eGates installed in the first phase of the project. Together, these solutions are streamlining identification processes for departing passengers, when entering airside and clearing immigration. The enthusiastic arrival of biometric ABC eGate technology at SXM Airport means that, after successfully entering airside using vb i-match™ security checkpoint eGates, passengers crossing the border will be able to complete the entire immigration process in just a few seconds using a customer-centric self-service touchpoint – vb i-match™ ABC. Newly appointed airport ambassadors are there to greet and guide travelers in the use of the eGates, additionally to the support of a passenger-centered, expertly designed User Interface, oriented towards the success of the operation! Additionally, every passenger transaction is closely monitored by an immigration officer using vb inspector™, a monitoring system giving the officers immediate information on each passenger’s identity and transaction status, detecting identity fraud, leveraging biometric and biographic information during real-time checks of intelligence and criminal databases, and instantly alerting border officers in case of an emergency. Planned for later in 2017 as part of phase three is the addition of vb orchestra™, a robust and unifying management suite that will give SXM Airport, Immigration and Border Protection Services, and the KPSM a complete overview and control of the entire passenger flow infrastructure and security network. Orchestra™ will give airport and security management officials an effective tool for the proactive monitoring and risk-based assessment of passengers. This software engine gives officials the ability to enhance operational security, while optimizing the passenger experience through flow metric reporting and business rules configuration. The full realization of SXM Airport, Immigration and Border Protection Services, KPSM, and Vision-Box™’s collective vision for a full self-service airport of the future will come to fruition with the installation of Vision-Box™’s Advance Passenger Information/Passenger Name Record (API/PNR) platform, thus delivering to all stakeholders the full benefits of an Entry/Exit system further boosting the internal security of the airport. The API/PNR is also slated to go fully live at the end of 2017.